Keeps you up-to date with other postings or information regarding new lawncare techniques and/or products that are available. Click on the Google, My Yahoo!, MY MSN, or Bloglines button if you keep a personalized home page there. Follow their instructions. You will be amazed at how easy and convienent RSS is for you to use. Create the spring lawn maintenance schedule you need to get a jump start on the lawn others envy. Continue reading "The spring lawn maintenance schedule that will whip your lawn into shape"
Outlines what you need to know about residential snow removal to make your home safe for your family and visitors. Continue reading "Residential Snow Removal - What you should know"
The clean-up, the importance of this final step. Continue reading "The clean-up, the importance of this final step." Get the solutions to your lawn care problems by sending a question to Ask Walt. Crabgrass is a annual narrowleaf lawn weed. It is also the easiest to control without using chemicals. Continue reading "Crabgrass, a Midwesterners worst nightmare"
Dandelions, are they really that pretty yellow flower? Are Reel Lawn Mowers A Good Option For Your Lawn? Reel lawn mowers are eco friendly and may be a good option for smaller lawns. Learn the pros and cons of using a reel mower. Continue reading "Are Reel Lawn Mowers A Good Option For Your Lawn?" Cutting grass is essential to the overall health and proper growth of your lawn. Lawn mowing tips that work for every homeowner. 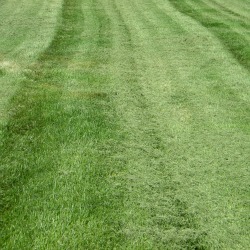 Continue reading "Cutting Grass 101....Why, When and How Answers For You"